Son of Pte. John Caddy (1877-1917), and Elizabeth Ann Baker (1873/74?-). Only son of Capt. Frederick Galway Cadiz, DSC (1873-1948), Master Mariner, and Nancy Cadiz. Married (27.10.1934, Worth Parish Church, East Grinstead district, Sussex) Nancy Yvonne Freund ((06? ).1913 - ), only daughter of Fritz Theodore Freund, and Maude Stevenson, of Worth, Sussex; one son. Nancy Cadiz remarried (26.03.1947, Chelsea district, London) Edgar C. "Bill" Wheatley. Married ((09? ).1933, Plymouth district, Devon) Edna M. Johnson; ... children (one daughter?). Wt. Writer Offr. = T/Cd. Writer Offr. Wt. Stores Offr. = Cd. Stores Offr. Youngest son of Thomas Russell Cairns (1882-), and Evelyn White, of Hexham, Northumberland. Education: RN College, Dartmouth (01.09.1934-05.04.1938; Exmouth House; Admiralty No. 1437). Elder son of P.P. Caldecott-Smith, OBE, late of the Admiralty, and Mrs Caldecott-Smith, of Bembridge, Isle of Wight. Married ((12? ).1935, St Marylebone district, London) Joan Margaret Miller, only daughter of Dr. W.H. Miller, MD, FRCS, and Mrs Miller, of Bedford; one son. [03.02.1941 A Swordfish of 815 Squadron from Maleme forced landed on Antikythera Island. Lt A.W.B. Drayson and Lt J.A. Caldecott-Smith were uninjured. Education: RN College, Dartmouth (St Vincent House; 01.09.1938-1942; Admiralty No. 4). Son (with two brothers and one sister) of Dr Archibald Cambell (1880-1934), and Edith Farquharson Roberts (1881-1969), of Southsea. Married (12.08.1933, Gosport district, Hampshire) Dorothy Elinor Downes, of Canford, Lee-on-Solent; two daughters. Having kept in flying practice, he joined a small helicopter company and subsequently also had an interest in the travel trade, specialising in Turkish holidays. Son (with three brothers and one sister) of George William H Camfield (1858-1941), and Eliza Ann Jarvis (1861-1946). Married ((06? ).1913, Portsmouth district, Hampshire) Edith A. Phillips (1891?- (12?).1967). Education: RN College, Dartmouth (Grenville House; 01.01.1940-1944; Admiralty No. 175). Son of late Col Ian Maxwell Campbell, CBE and Hilda Mary Wade. Brother of Brig. Lorne Maclaine Campbell, VC. Son of Allan William George Campbell (1884-1914), and Lady Moya Melisende Browne (1892-1974). Married 1st (04.08.1945, Groton, Massachusetts, USA; divorced 1952) Marion Lawrence Cutler, daughter of Richard Lawrence; two sons. Youngest son (with two brothers) of Brig.Gen. Alexander Augustus Elphinstone Campbell, Indian Army (1861-1947), and Maud Powys Lane (1870-1932). Married (30.11.1935, St Mary's Church, Cadogan Gardens, Chelsea district, London) Mary Frances Gerardine "Pooch" Howell (25.10.1908 - 21.01.1975), daughter of Col. W.R. Howell. Mary Campbell remarried (1960) Capt. Ronald George Mills, DSO, DSC**, RN. Married ((06? ).1944, Southampton district, Hampshire) Ruth Evelyn Misselbrook, daughter of F.J. Misselbrook, of Southampton, Hampshire. Edcuation: private; abroad; RN Engineering College (1900-1905). Ninth son (and 13th of 16 children) of Col. Frederick Campbell, CB, VD, JP (1843-1926), and Emilie Guillaumine Maclaine (1847-1928). Uncle of Brig. Lorne Maclaine Campbell, VC, DSO, OBE, TD. Married (14.01.1911) Mary Jeanne Davids, eldest daughter of Henry Vavasour Sanders Davids, Hillier House, Guildford; one son (the Rev. Chapl. 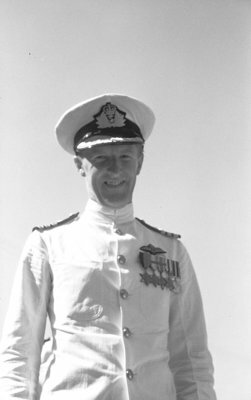 Frederick David Gordon Campbell, RNVR), one daughter. Education: Dulwich College; HMS Britannia (1900). Member of Parliament (MP) (Nat.) Burnley, 27.10.1931-14.11.1935. Younger Brother of Trinity House, 1920. FRGS, FRHistS. Published: My Mystery Ships, 1928; Number Thirteen, 1932 [republished as: The life of a Q-ship Captain, 2002]; Sailormen All, 1933; Brave Men All, 1935; Captain James Cook, 1936; A Son of the Sea, 1936; Witch of the Wave, 1937; Abandon Ship; Two Cadets; The Great Bluff; Dog­Nelson, AB, 1938; The Book of Flags, 1950. 2nd son of Brig. A.A.E. Campbell, Indian Army. Married (1929) Marjorie Mary McCreath, Looseleigh, Tamerton Foliot, Devon; two sons. Son of Col. Frederick Campbell, CB, VD, JP (1843-1926), and Emilie Guillaumine MacLean (c. 1851-1928). Married (1911) Lilian Alice, only daughter of late Sir Joseph Outerbridge; one son, one daughter. Lt. of 8 years, renamed Lt.Cdr. Son of Sir John Stratheden Campbell (1863-1928), CSI, Indian Civil Service, and Honor Newmarch. Youngest son (with two brothers and one sister) of Maj. the Hon. Donald Swinton Campbell, MC (2nd Baron Colgrain) (1891-1973), and Margaret Emily Carver (?-1989), of Sevenoaks, Kent. Education: RN College, Dartmouth (St Vincent House; Admiralty No. 1642; 01.05.1936-19.12.1939). Partner with James Capel & Company, Stockbrokers, 1957-1974. Married (30.03.1937, Malta) May Dorothy Camozzi (died 24.12.2007, aged 94), daughter of Percy Joe Camozzi; one son, one daughter. ? Married 1st Lillian Mary Settle (1902-1926). Married 2nd Marit Fabritious (1928- ? ); one son. * In recognition of his distinguished services during the war. ** Displayed conspicuous ability and initiative during operations between May 5th and 10th, near Krithia, Cape Helles; owing to his judgment and skill as Officer Commanding the forward line, losses, though heavy, were less severe than they would otherwise have been. Education: RN College, Dartmouth (Blake House; 01.09.1939-1943; Admiralty No. 132). Only son of William Marshall and Constance Mary Candy. Married (1914) Isabel, youngest daughter of Henry Abraham, Southampton; one daughter. Son of Ewart Garfield Canham (1882-1965), and Maud Emmeline Cockerill (1888-1966). Emigrated to United States. Naturalization as US citizen, 1960. Son of ... Cardale, and ... Madge. Married ((09? ).1940, Liskeard district, Cornwall) ... Joughin. Son of Capt. Roland Cecil [Sneyd] Carew Hunt, CMG, RN (1880-1959), and Thelma Reay Scott, of Riding Mill, Northumberland. Elder brother of S.Lt. Adrian Carew-Hunt, RN. Married 1st (22.07.1939) Diana (died 1969), elder daughter of late R.Adm. J.F.C. Patterson, OBE; no children. Elizabeth Frances Mary Adams, 2nd daughter of late J. Hunter, MP. Chairman, Joseph Barber & Co. Ltd.
OBE, DL, Légion d’honneur Education: RN College, Dartmouth (Exmouth House; 01.05.1939-1943; Admiralty No. 86). Flamank Carlill (1875-1959), civil servant, and Beatrice Newton Hope (died 1924). Married 1928, Julie Fredrike Elisabeth Hildegard (died 1991), only daughter of late Rev. W. Rahlenbeck, Westphalia; two sons. Representative in Ghana of West Africa Committee 1960-1966; Adviser to W Africa Committee, 1966-1967. Son of Eng.R.Adm. Frank Scott Carlisle (1882-1941), and Elsie May Cecilia Sacret. Education: RN College, Dartmouth (Hawke House; 01.01.1939-1942; Admiralty No. 48). Education: RN College, Dartmouth (Drake House; 01.05.1941-1944; Admiralty No. 300). Married (13.11.1940, Birnam, Dunkeld) Elizabeth Horne (died 06.10.2008; aged 93), younger daughter of W.O. Horne, late ICS, and Mrs Horne. Son of ... Caroll, and ... Higgins. Married ((06? ).1938, Bromley district, Kent) Hilda Nancy Passmore (31.07.1906 - 03.2005), daughter of Dr & Mrs W.H. Passmore, of Mornacott, Carshalton, Surrey; one son, one daughter. Elder son (with two sisters and one brother) of Edward Cartwright (1875-), solicitor, and Gertrude Ellershaw (1878-), of Bristol and of Looe, Cornwall. Brother of Capt. John Cecil Cartwright, DSC and Bar, RN. Married (19.01.1940, Alverstoke, Gosport district, Hampshire) then Third Officer (later Second Officer) Margaret Angela Manners, WRNS (01.10.1918 - ), only daughter of R.Adm. Sir Errol Manners, KBE, RN; one son, two daughters. "Convoys to Norway - bombed by German aircraft, ran aground North Norway. Temporary repairs Lofoten. Bombed again and damaged by JU88s. Towed home - bombed." "On staff of R.Adm. L.H.K. Hamilton for Operation Anklet, 2nd raid of Lofoten Islands)"
"Russian convoys. Spitzbergen. Mediterranean in support of Torch landings. Bombarded Cape Matafui Algiers. Attacked by 10 torpedo bombers off Algiers. To Bone (North Africa) with R Adm Cecil Harcourt - organised blind barrage by all ships - mentioned in despatches. Heavily bombed. Back to North Russian convoys. Then to Bay of Biscay in support of destroyers hunting German U Boats. Bombed by the dear RAF!" "Operations in the Malacca Straits. Bombarded Japanese airfields in Andaman and Nicobar islands." Son (with two sisters and one brother) of Edward Cartwright (1875-), solicitor, and Gertrude Ellershaw (1878-), of Bristol and of Looe, Cornwall. Brother of Capt. Edward Hugh Cartwright, RN. Gentleman Usher of the Black Rod to the Parliament of Northern Ireland. Son of Harold Power Carver (1879-1948), and Anne Wellesley (?-1968). Brother of Field Marshal Sir Michael Carver. Son (with one sister) of Francis Howard Cary (1883-1955), and Emily Talbot (1884-). Education: RN College, Dartmouth (Blake House; 01.09.1938-1942; Admiralty No. 5). Eldest son of Sir Lewis Casson and Dame Agnes Sybil Thorndike. Post war a theatre producer & director, and communication adviser. Director at the Citizens' Theatre from 1947-1951. Son of ... Cattrall, and ... Beard. Son of Frederick Napier Warden Cavaye (1855-1931), and Emily Hatfield (1865-1940). Younger son (with two sisters and one brother) of Maj. James Gordon Cavenagh-Mainwaring (1865-1938), and Evelyn Dutton Green (1876-1963), of Whitmore Hall, Whitmore, Staffordshire. Married (15.02.1933) Iris Mary Denaro (14.01.1913 - 2003), daughter of Col. Charles Albert Denaro, OBE, of Malta; one son. Cross of Merit, Sovereign Order, Knights of Malta, 1955. Commandeur, Légion d'Honneur (France) (state visit of French president 04.1960). Education: Cheltenham College (01.1918-1921); RN College, Dartmouth (15.01.1922-1925); Joint Services Staff College (1951-1952). With Simpson (Piccadilly) Ltd., 1961-1991 (from 1963 Advertising Manager). Education: RN College, Dartmouth (Blake House; 01.09.1939-1943; Admiralty No. 133). Son of Bernard Silas and Elsie Caws (née Trull), of Henleaze, Gloucestershire. Only son of Maj.Gen. Douglas Edward Cayley, CB, CMG (1870-1951), and Jessie Eyre Duff Gibbon (1870-1955), of Yateley, Hampshire. Married (22.04.1933) Nancy Violet Coutts, younger daughter of Mr & Mrs Edward Coutts, of Fleet, Hampshire; one daughter.